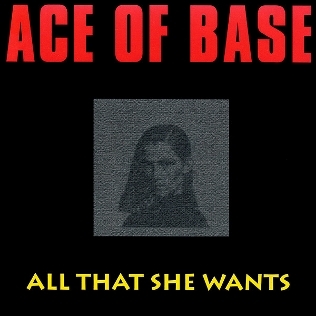 All That She Wants is a dance-pop reggae-pop song by Swedish music group Ace of Base, from their 1993 debut studio album Happy Nation (called The Sign in Japan and some Latin American countries). Written by Jonas Berggren and Ulf Ekberg, and produced by Denniz Pop, Jonas Berggren and Ulf Ekberg, the track was released as the second single from the Happy Nation album in 1992 and as the first single from the The Sign album in 1993. 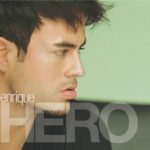 The single achieved commercial success, reaching number two on the US Billboard Hot 100 and number one in the UK, Canada, Spain and seven (7) other countries. 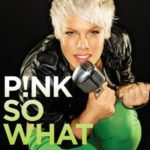 All That She Wants has been certified 2x platinum in Australia and platinum in three other countries. © 1992 London. Mega. Arista Records.